United Airlines is sending employees back to school with a laudable goal: cultivating the compassion, discernment, and empathy of every front-line worker. Almost a year after the Dao incident, United is following through on its promise to fundamentally reshape its customer service model. As part of the “core4” program I outlined here, flight attendants, gate agents, and other customer-facing agents will participate in an interactive training course meant to teach how to better to handle passengers. Training will focus on judgment calls, the gray area in which employees still maintain some discretion. Should a flight be held for a straggling family or senior citizen? How should an angry passenger be handled? What does it really mean to balance the often-competing interests of efficiency and empathy? Employees will “role play” various scenarios in an effort to collaboratively learn, not just from the instructors, but from each other. But United will go beyond that with a new partnership announced this morning. 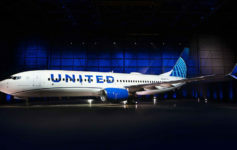 United Airlines and Special Olympics International will team up to provide additional in-depth employee training. The goal: treat passengers with intellectual disabilities with dignity. This is part of core4, but a separate training module than the more widely-reported customer service training. It’s easy to say passengers with intellectual disabilities should be treated with care and dignity, but how does that manifest itself practically? That’s an important question that I applaud United for taking seriously. This training may be of limited value if United President Scott Kirby insists upon D:00 [on-time departure] as the single most important metric, but let’s not dismiss yet. We can all agree that many United agents are in need of customer service training…hopefully this will be the start of correcting a problem that has haunted United and Continental for decades. I suppose UA thinks most of their passengers have intellectual disabilities .. at least the problematic ones! You can’t “teach” common sense, compassion, and thinking out of the box if it just doesn’t come natural to people (or they were not taught these fundamental things from childhood). As a retiree, I can assure you, this “training” has been done over and over again in all kinds of workshops and team meetings with every work group. They can rename it anything they want – my first sentence holds.